The Japanese metal idol band, Babymetal, announced that on April 12th, the same day they will be beginning their tour with the famous Red Hot Chili Peppers, their live performance from the Tokyo Dome will be released as a 4-disc album. The strategic release of the album is evident, as their tour with the Red Hot Chili Peppers in the United States, which extends throughout the entire month of April, will be the greatest exposure the band has received to-date within the United States. Another notable fact about the album is that throughout the entire 4-disc set, there is not a single repeat song, offering both new and old fans alike a complete taste of all their work to-date. 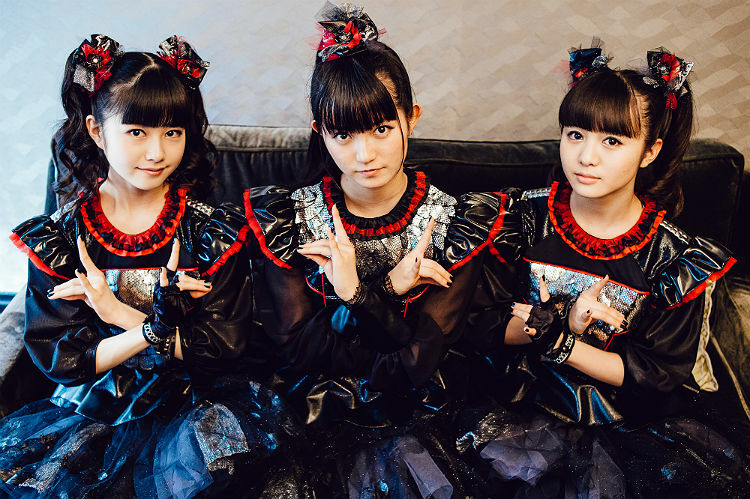 This J-pop metal powerhouse, consisting of three teenage girls who go by the names of “Sumetal”, “Yuimetal”, and “Moametal”, had their first major label debut back in 2013 and since then they have grown into a world-wide presence within the metal industry. Their last album, Metal Resistance, was released March 29, 2016 in Japan and then worldwide on April 1st and peaked at 2nd on the United States Hard Rock Albums list and finished the year-end charts as 3rd on United States World Albums (Billboard) list. Needless to say, the band has seen an immense growth in popularity with their ironic pairing of three, doll-like, teenage girls with the intense, carving, metal sound and intensity which has earned them such respect among critics. The release of their new album marks the beginning of a huge opportunity for the band, not only in their touring with the Red Hot Chili Peppers – with whom they worked with back in December during The Getaway World Tour in the UK – but they are following up their month-long tour with another five performances with the famous metal group KORN in June. Clearly, having achieved major success internationally and now having their name on the maps here in the United States, the Japanese metal idol band is looking to expand their presence here in the metal center of the world. Their 10 set tour with the Red Hot Chili Peppers will take them to major cities all along the East Coast and the KORN sets will primarily be in California, with a final set in Nampa, Idaho.